The Crop-Livestock Integration and Marketing in Malawi (CLIM2) project is training farmers in Gross Margin Analysis as a critical tool to help them prioritize their choice of investment, demonstrating to them the importance of not only choosing an enterprise with a higher gross margin, but also the one with the lower production costs. By analyzing farming enterprises specific to their environment and particular requirements, farmers can maximize marginal returns. Chiradzulu district, for example, is plagued by high population density and limited land for agriculture. Therefore, after conducting the training on Gross Margin Analysis and considering these constraints, both groups realized that the greatest returns could be achieved through chicken production, ideal for smallholder farming. The chickens are to be integrated with pigeonpea, sorghum and cowpea, underpinning one of the project’s key objectives: diversify and intensify agricultural production. “Once we compared gross margins on chicken sales, we concluded that instead of growing pigeonpea and sorghum for sale as we had been doing and which was not profitable, it was better to feed the crops to our local chickens,” said the chairperson. During the training, the project team and government extension staff trained participants on the meaning of gross margin analysis, why it was important, the steps to calculate it and how to choose a profitable enterprise. The training was conducted through Q&A sessions, group discussions and plenary presentations, and once the training was complete, farmers were able to compare gross margins and make informed decisions about the enterprise into which they would venture. When asked what made CLIM2 different from other development projects in the area, the Vice Chairperson for Chimtengo Youth Club said that it was the only project which provided capacity building through numerous training sessions, most notably, on gross margin analysis. This is particularly significant as the project targets marginalised and vulnerable groups such as women and youth. Once members started seeing profits from their agricultural enterprises, said the Chairman of Chimtengo group, the priority would be to use the money to build better homes for their families, send their children to school and erect an administrative office for the club. Another aspect of the project the group finds unique is that CLIM2 implements its activities using a group approach as opposed to other projects which work with individuals. “This is good, because message dissemination is fast and there is knowledge sharing among members of the group,” said the Chimtengo Chairperson. 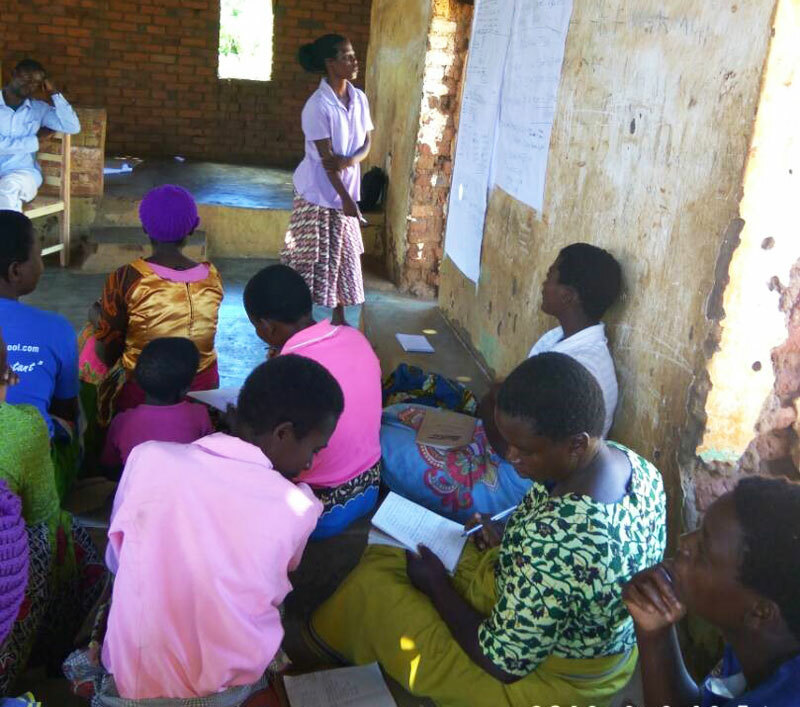 So far CLIM2 has trained two groups of 30 members each in the Chiradzulu district, namely Chimtengo Youth and Thobola Women’s Club. Both are in Thumbwe EPA, in TA Kadewere. Chimtengo Youth Club has a membership of 20 women and 10 men. One of the challenges stated by the members of Chimtengo Youth Club was the mortality rate of chickens due to disease outbreak, as well as lack of start-up capital for purchasing parent stock and other inputs. The project has assisted with the purchase of 100 chickens (which, unfortunately, died due to a disease on the parent farm and are yet to be replaced) as well as materials to construct a standard chicken house. Another challenge observed, particularly with Thobola, was the high illiteracy level of members which has led to difficulties in understanding gross margins. As a way of overcoming the challenges, members of these groups contribute a chicken and a subscription of MK100 (0.14 USD) per month. This is not enough to cover their needs for investments, e.g. repairing infrastructure and transport of chicken to markets; however, considering the poverty levels in the rural areas of Southern Malawi, they cannot contribute any more. “We are struggling to contribute the little we have, and would be very happy if the project gave us a push so that we can start running,” said the headman on behalf of the women. Among the numerous reasons smallholder farmers struggle to improve their standard of living is poor enterprise choice. From the discussions during and after the training, it was clear that gross margin analysis would significantly empower farmers to make the right choice when it came to their investments, hence achieving greater returns on farming, vastly improving their livelihoods. Blog-writing training and editing by Violette Kee Tui.